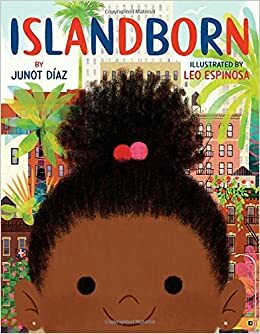 Lola has to draw a picture of the place she was born as an assignment for her teacher, but she was too young when she left the island that was her first home and can't remember it. Lola asks her neighbors to tell her their memories so she can complete the assignment. With the help of family and friends, Lola pieces together information about the island to understand the place she is from. Even though not named, the author's background and the story indicate that the island is the Dominican Republic. This is a book about learning where one is from, but also the power of imagination. The story and illustrations capture the beauty of the island and the courage of those who faced struggles during hard times. A sweet book with gorgeous illustrations. Maud has a fear of doctors and shots, but when her imagination wanders she forgets to be afraid. This book will be useful for kids who have a similar fear as it shows a strategy that will help. The book is also written in a comic book style which will appeal to early readers who want to read graphic novels. Thanks to the publisher, Penguin Random House, for an advanced reader's copy of the book. Two inmates escape from prison in a small, quiet, and usually safe, town in the Adirondacks. The story is told through the perspectives of three seventh-grade girls, two of them friends from the same school and one a girl who has just moved to town because her brother is in the prison. The book, told through various forms of writing, such as letters, poems, news clippings, and comics, is a compelling read. It explores prejudice and racism and can serve to open up conversations about these relevant issues. I think the structure of this book will attract readers, the plot will keep them engaged, and the struggles of the characters will make them think. This book does not publish until June, but it's one to keep an eye out for. Thanks to the publisher, Bloomsbury, for sending my book review group, #BookExcursion, an advanced reader's copy. This historical fiction book is set in Maine, pre-World War II. Augusta has only her French horn, about which she is very passionate, with her when she arrives at her grandmother's orphanage. She not only has to adjust to her new setting, but she is also struggling with feelings that she is not an American and the suspicions of others in the community because her father was born in Germany. Augusta is a determined character who strives to do the right thing to help others. She stands up for herself and those in her community. The book gives historical insight into the prejudices of the time period, but it's also a story about family and friendship. There is much to love about this book from a great storyteller. Look for the book in April. Thanks to the publisher, Candlewick, for sending an advance reading copy of this book, to my book review group, #BookExcursion. 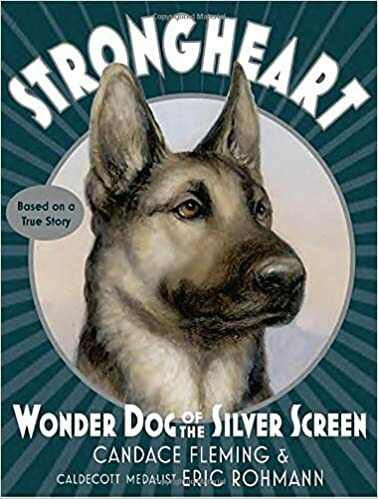 This fiction story is based on the real life story of Strongheart, a dog actor in the 1920s. Director Larry Trimble was looking for a dog to make a star when he came across Strongheart at a Berlin Police Station. Strongheart was just what Larry was looking for, a gorgeous, intelligent, and dramatic dog. Strongheart's acting abilities are amazing, but he also proves to be a superstar for his helpfulness and loyalty. I know many readers who enjoy books featuring dogs and I think they will enjoy reading about this unique and interesting dog. Each one sounds great, Lisa. I am looking forward to reading this new one by Kate Messner, & have The Orphan Band of Springdale, will read it soon! Thanks for all! And Happy Reading! Both books are important for our times. I need to check if we have an ARC for Messner's book. I've been hearing good things. Definitely put it on the top of your tbr list! 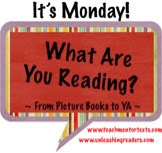 It looks like you have had a fabulous reading week! 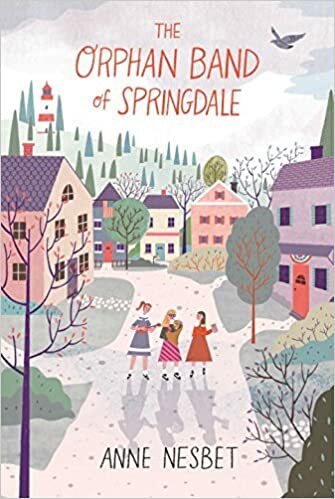 I adore the cover of he Orphan Band of Springdale. I have Breakout on my TBR list, but The Orphan Band of Springdale is new to me. Adding it right now. I feel like I'm waiting forever for Islandborn to make it to our remote area. I've only heard GREAT things. Thank you for the shares this week, Lisa! Both Breakout and The Orphan Band of Springdale have important messages for our times. Even though The Orphan Band is historical fiction, its themes are relevant. I started read a digital ARC of Breakout and 50 pages in there was a technical issue with the e-reader I was using. I loved what I read, but will now have to wait until it comes out. Have a great week! That's too bad! You will definitely enjoy it when you finally can read it! 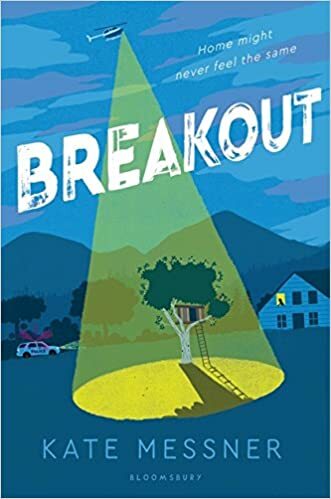 I can’t wait for my turn to read Breakout! I just preordered it because the publisher is offering a nice swag package. I just checked out Islandborn and Strongheart at the library. Great minds think alike, right? This looks like a great week of reading -- all the books are going on my TBR list.